Qualcomm said it filed two separate legal actions including a complaint asking for the iPhone import ban with the US International Trade Commission, a quasi-judicial government agency which hears cases involving trade disputes. The complaint alleges that iPhones, which are made in China, should not be allowed to be brought into the United States if they infringe on Qualcomm's patents. The chipmaker also filed a complaint against Apple in the US District Court for Southern California seeking damages from the same patent infringement allegations. "The patents we are asserting represent six important technologies, out of a portfolio of thousands, and each is vital to iPhone functions. Apple continues to use Qualcomm's technology while refusing to pay for it." It was not immediately clear which iPhones would be affected. But Qualcomm alleges that it has six patents developed in the past four years that improve battery life in mobile devices and that "Apple uses these technologies in its devices but is not paying for them." 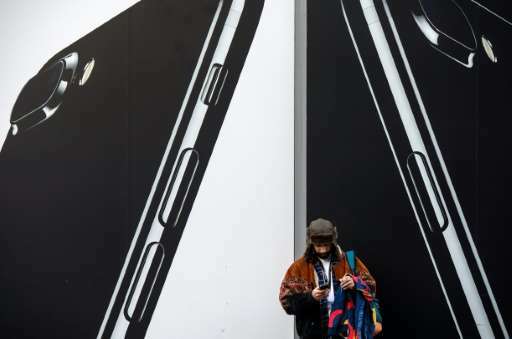 The fresh legal actions sharply escalated the war between the two California technology giants, which began in January when Apple filed a lawsuit accusing Qualcomm of abusing its market power to demand unfair royalties. Responding to the latest legal actions, Apple repeated its allegations against Qualcomm. "Qualcomm's illegal business practices are harming Apple and the entire industry," an Apple statement said. "They supply us with a single connectivity component, but for years have been demanding a percentage of the total cost of our products—effectively taxing Apple's innovation." Apple chief executive Tim Cook earlier this year said Qualcomm provides "one small part of what an iPhone is," and that the chipmaker "has nothing do with the display or the Touch ID or a gazillion other innovations that Apple has done." The Apple suit echoed charges filed by antitrust regulators in the United States and other major markets around the world. Qualcomm responded in April that Apple had been providing "false and misleading information" to antitrust authorities in an effort to reduce its royalty payments to Qualcomm. The iPhone maker relies on Qualcomm for chip-based modems that enable its devices to communicate with telecommunications networks. Apple is acting quite silly and immature. Qualcomm technology is at the core of the iPhone. Qualcomm has spent billions of dollars developing this technology (LTE, LTE-A, and many other technologies related to phones) and deserves to be paid for it. They are truly a great American company and innovator. It's funny that Liberals who slam Ivanka Trump for having factories in China for her company's clothing line don't think Apple builds all of their iPhone and iPads in China is an issue. someone11, no, Qualcomm has such good technology that companies are willing to pay $$$ for it. People like you try to downplay the amazing IP that they have, and you support foreign governments colluding to basically steal from these great US companies.